Bob Mather makes it 2,700 on the x-K-5-A-A board and Joe Fernandez (above) makes the call. Mather shows 4-5 for two pair, but Fernandez shows K-Q for a better two, and he rakes in the 10,000-chip pot. 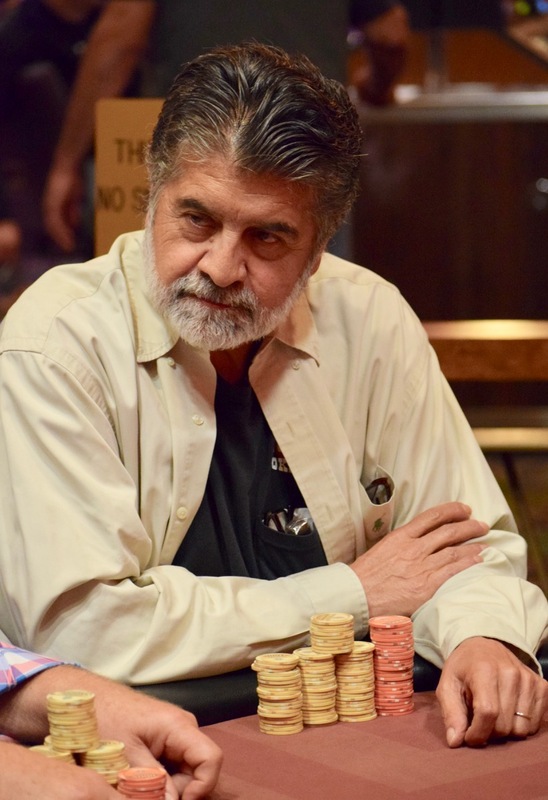 Mather and Fernandez both have HPT TVPokerRoom final tables on their resumes, with Fernandez having a 9th and Mather a 2nd from different events.